Lost meets The 100. Mayday! Mayday! Eight kids. 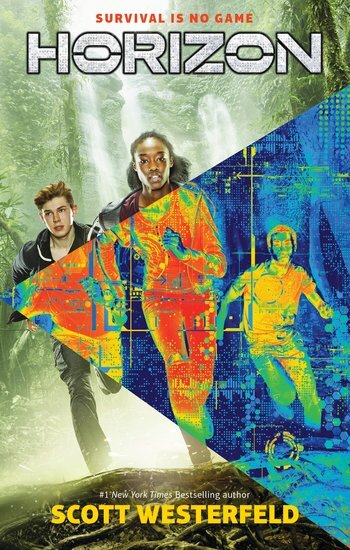 One crashing plane – and one mind-twisting fantasy thriller from Uglies genius Scott Westerfeld. When did you last get your brain checked…? When the plane comes down, the last thing the kids in this story expect to see is blood and twisted metal; flames and melting ice. But against all the odds, they’ve survived to die another day. (Or maybe just later today, unless their luck holds.) The plane came down in the snowy Arctic. But when our heroes crawl from the wreckage, they’re lost in a freaky jungle that makes the Amazon look tame. Razor-beaked shredder birds, carnivorous vines and much worse… but no weapons, no food and no rescue. Will they survive? And then what? Prepare your reading den NOW.